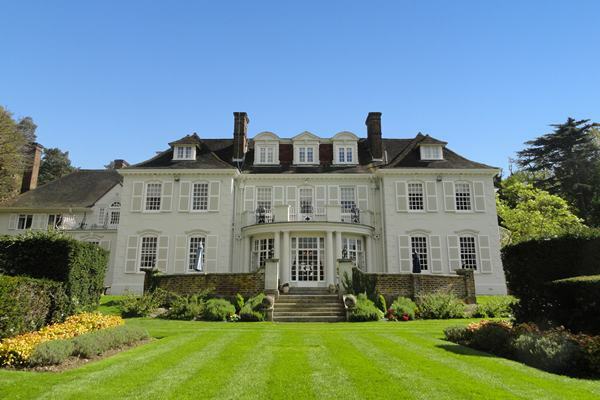 Surrey Wedding venues and packages, if you are looking for a civil ceremony approved venue, or venue for your wedding reception we have listed your local venues. They maybe traditional, unusual, modern or romantic, including city centre hotels, country houses, castles, and venues with wedding marquees and stunning grounds. Surrey wedding venues that are licenced for civil ceremonies usually offer complete wedding packages, whether or not you are having the ceremony there or in church or registry office. 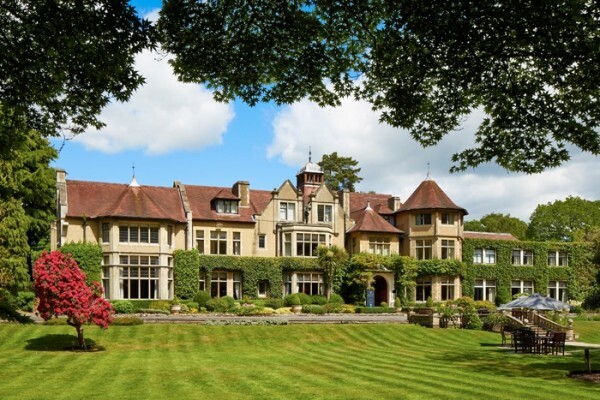 The venues include lots of photos, wedding offers, wedding fayre details, late availability dates, video and much more, each Surrey wedding venue includes full contact details. 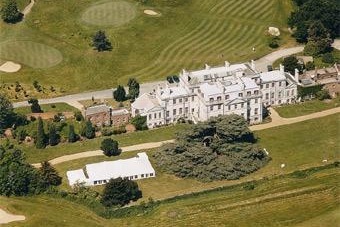 You can either scroll through those in your county and region or use our unique “Surrey Wedding Venue Finder” facility to specify what you want. Then we will aid you in finding the perfect venue for your special day. 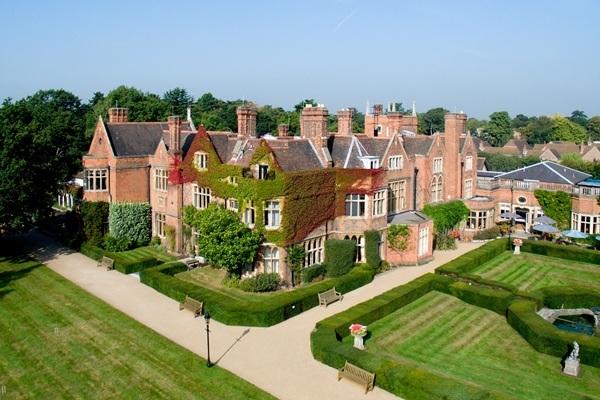 Set in 163 acres of surrounding grounds located just outside of Croydon and on the borders of Kent and Surrey this stunning venue offers two spectacular locations for Wedding Receptions. As the backdrop for your wedding, this 19th century home offers much more than breath-taking beauty and historic grandeur. 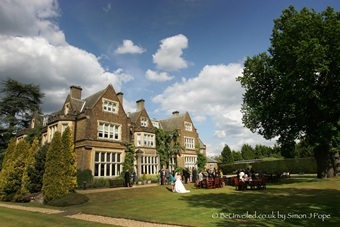 Macdonald Frimley Hall Hotel is the perfect wedding venue. Walking through the stunning landscaped gardens into an oak wood ornate staircase and fireplace. With a 19th Century Jacobean mansion, a Master Chef in the kitchen, 150 friendly, professional staff and 400 acres to overlook. 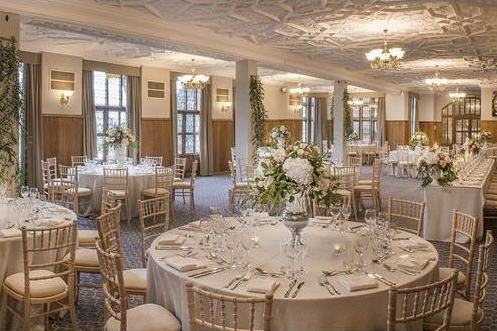 Set in over 200 acres of landscaped gardens in a majestic and historic building, your wedding dreams will come true at the spectacular De Vere Selsdon Estate. A Warren House wedding is very unique, exclusive, bespoke and special. We only have a limited number of wedding dates available each year. 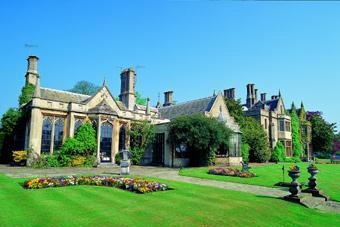 Whether you’d like the manor house and its grounds for the reception, ceremony or both, we’ll make sure your day is memorable.